Union Minister of Commerce & Industry and Civil Aviation today chaired a meeting of different exports stakeholders and Commerce Ministry officers to discuss a strategy for revitalizing India’s exports and doubling the country’s exports by 2025. The Minister said that this is necessary in view of challenges like uncertainty of global trade, rigid approach of banks affecting availability of credit, high logistics cost and productivity standards and qualities. Exports create jobs, bring in foreign exchange and validate India’s international competitiveness. Minister of State, C R Chaudhary will be the chairperson of this mission and will regularly review the work of different export promotion councils and divisions of the Ministry of Commerce. The Commerce Minister has already held two meetings with key Ministries for preparing sectoral export strategies which are being finalized. Federation of Indian Export Organisations (FIEO) has done a study identifying 100 billion exports in traditional, new markets and products. EXIM has conducted market research and draft export strategy is being prepared. India had acceded to WTO’s TFA (Trade Facilitation Agreement) in April, 2016 and action plan containing specific activities to further ease out the bottlenecks to trade has been prepared. To facilitate transparency through Ease of Doing Business and IT initiatives DGFT and SEZ have been online integrated with customs ICEGATE and mandatory documents required for exports and imports have been reduced to 3 each. Import Export Code (IEC) has been integrated with PAN and MoU signed with GSTN for complete integration. Electronic bank realization certificate (eBRC) system has been shared with 14 State Governments for quick tax refunds and MoU signed with GST Network for integration of e-BRC with GSTN. State Governments have been provided access to DGCI&S export data in real time. Union Cabinet has approved the proposal of Department of Commerce to give focused attention to 12 identified Champion Services Sectors for promoting their development, and realizing their potential. 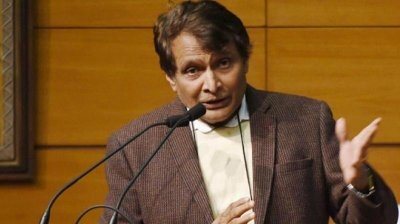 Suresh Prabhu emphasised that special strategy is being prepared for the services sector in order to achieve broad-based growth instead of the existing pre-dominance of IT-ITeS, diversification of services exports across geographical territories, ssensitization of the States to formulate new structures, policies and action plans for services sector and promotion of India as a services hub. The Agricultural Export Policy is in the process of being finalized, after incorporating stakeholders’ comments. Commodity and territory specific strategy is also being prepared for items like gems and jewellery, leather, textile & apparel, engineering sector, electronics, chemicals and petrochemicals, pharma, agri and allied products and marine products. Territory specific strategy will cover North American Free Trade Agreement (NAFTA), Europe, North East Asia, ASEAN, South Asia, Latin America, Africa and WANA, Australia, New Zealand, and CIS.